Fix your fundamentals, learn advanced strategies, and prepare your mind and body for competition. 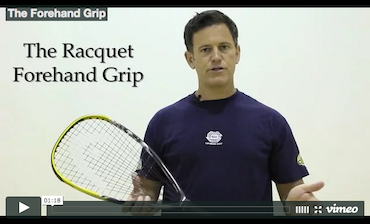 The Intro to Racquetball video series will teach you the essential concepts of the game. The Coach Cliff Swain video series takes you behind the scenes with Cliff and his athletes. A catch-all category for our Miscellaneous instructional videos that are not yet part of a series. Learn tips, techniques, and strategies from the 6-time World Champ. 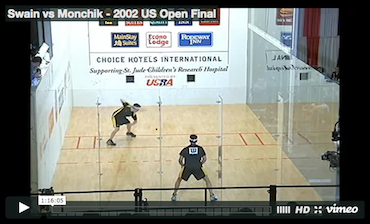 The Winning Edge video series provides unique insight into the nuances of the sport. The Mind of a Champion video series explores the mental toughness of a champion. A catch-all category for Miscellaneous interviews of Cliff. Watch matches featuring Cliff Swain and a variety of other champions. Watch some of the Classic Cliff Swain matches. 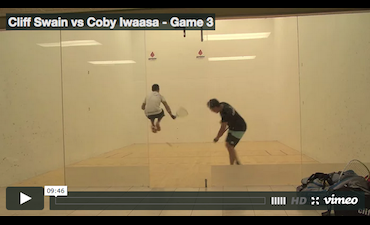 Watch a variety of other Cliff Swain matches. 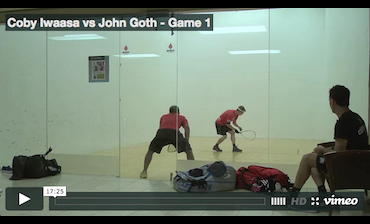 Watch miscellaneous matches that feature the players Cliff coaches.